Obesity is a prominent global concern, which is correlated with several chronic diseases and associated mortalities. Social determinants and environmental factors play an important role in the adoption of certain behaviors that cause obesity and related health issues. This makes obesity a complex public health issue dependent on several physiological, pathobiological, and psychological phenomena. 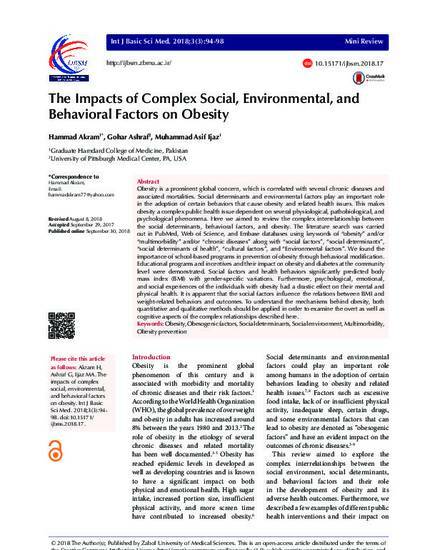 Here we aimed to review the complex interrelationship between the social determinants, behavioral factors, and obesity.  The literature search was carried out in PubMed, Web of Science, and Embase databases using keywords of “obesity” and/or “multimorbidity” and/or “chronic diseases” along with “social factors”, “social determinants”, “social determinants of health”, “cultural factors”, and “Environmental factors”. We found the importance of school-based programs in prevention of obesity through behavioral modification. Educational programs and incentives and their impact on obesity and diabetes at the community level were demonstrated. Social factors and health behaviors significantly predicted body mass index (BMI) with gender-specific variations. Furthermore, psychological, emotional, and social experiences of the individuals with obesity had a drastic effect on their mental and physical health. It is apparent that the social factors influence the relations between BMI and weight-related behaviors and outcomes. To understand the mechanisms behind obesity, both quantitative and qualitative methods should be applied in order to examine the overt as well as cognitive aspects of the complex relationships described here.